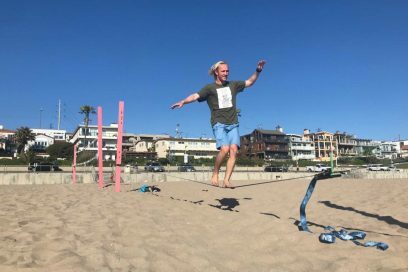 This is a great post from Tim Edmunds on how Slacklining can be used as a form of meditation as says Nick Pontin. Suspended high across the rocky headland of West Cape Howe near Albany with the southern ocean 70m below, experienced slackliner Nick Pontin appears calm. Instead, the former Albany man is terrified as he balances on the loosely tensioned webbing. 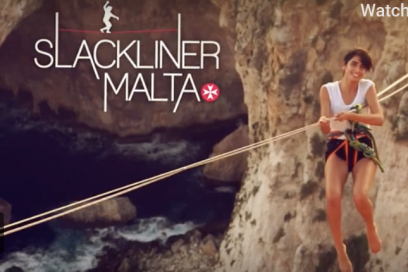 On the surface they appeared a bunch of thrill-seekers, but five “slackliners” from Perth were instead seeking self-control in a mental battle. The adventure sport, which includes the discipline of highlining more than 20m above a surface, continues to grow in prominence in Perth according to Pontin. The 28-year-old and his four friends, including Darlington’s Australian Ninja Warrior contestant Jack Gooch, took on WA’s most southerly highline site in the West Cape Howe National Park at the weekend. 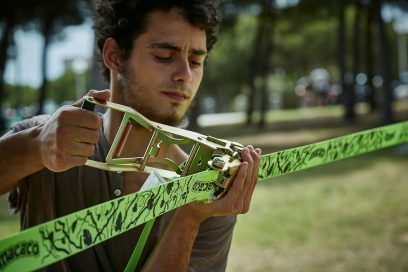 Pontin, who has been slacklining for the past five years, said the experience was like a form of meditation. “It becomes a mental game as soon as you are up that high,” he said. “Your body is freaking out. “You know you are safe but your body is telling you otherwise. Pontin said the task was about controlling your mind when facing great heights with distractions of wind and waves crashing below. “Everyone has something different they focus on. I always focus on the fixed point of the end of the line,” he said. “You do whatever it takes to control your mind. “I try to focus on my breathing, others will wear headphones or sing, anything to keep your body relaxed. Mr Pontin said safety was paramount and the planning and rigging process was thoroughly planned and executed. 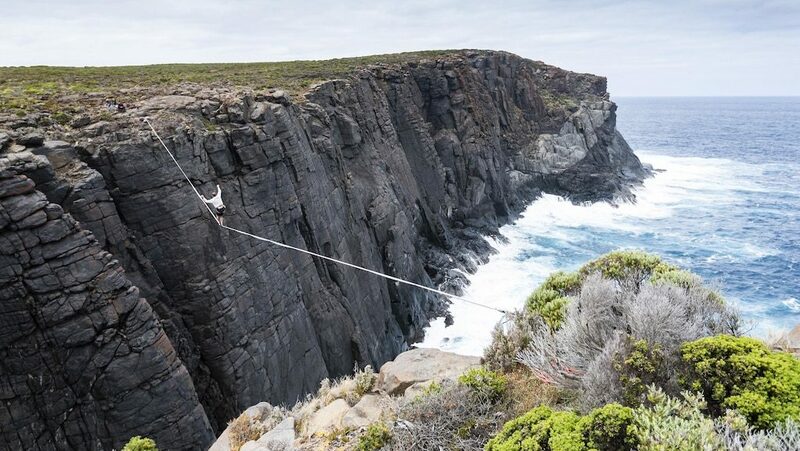 Albany’s Australian Ninja Warrior finalist Zed Colback was last year captured highlining across West Cape Howe, which was condemned by the Department of Biodiversity, Conservation and Attractions because of the potential risk.